Dare to be different. The inspired prints of the PrAna Roxanne Printed Legging splash color and excitement into a sea of black yoga pants. Quick drying stretch properties and a wide flattering waistband are studio ready. Linh P. Reviewed by Linh P.
Nice quality leggings for good price. Fits true to size. It's great for casual wear as well as work out! Joanne S. Reviewed by Joanne S.
Beautiful pattern that doesn’t fade when the fabric stretches. Super comfy and they stay in place during any type of exercise. Julia B. Reviewed by Julia B. Beautiful color,fantastic fit,just right and the price? unbelieveable!! Bethany J. Reviewed by Bethany J. 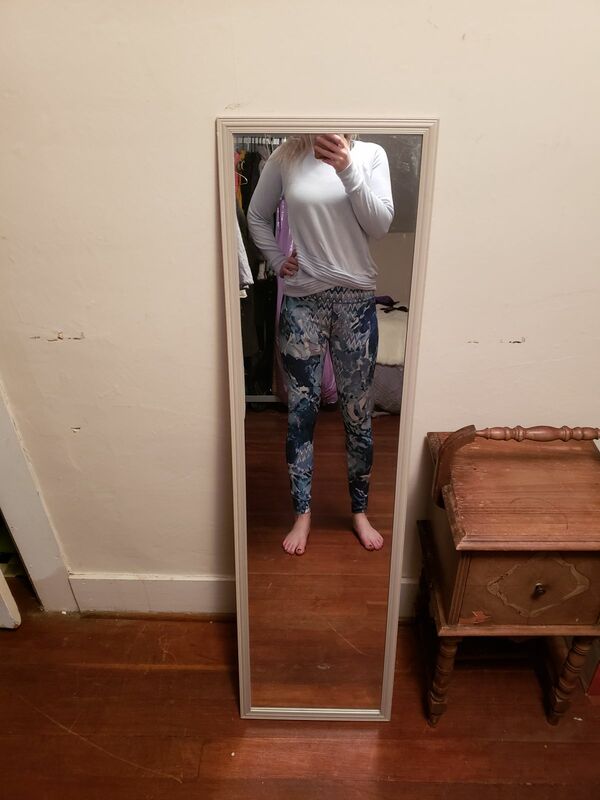 These are by far my favorite leggings! They are comfortable and move with me during any type of workout from yoga to TRX. These were an amazing deal and I would highly recommend them! Sharon R. Reviewed by Sharon R.